With a stunning name like FastestVPN, one can hardly help feeling both awed and skeptical at the same time. This Cayman Islands-based VPNs service provider has just recently come across our radar and we decided to take it for a spin. We were very excited at the prospect of a fast VPN service provider emerging that is based out of a good country for VPN providers to be based in. Can it live up to its name and banish the doubts in our minds? Let’s find out. FastestVPN has Excellent Price Plans! One of the first things we look out for in a VPN is the country it is based in. Different countries have different regulations regarding data retention, and this affects one of the core aspects of VPN services. A good place for a VPN service provider to be based out of would be like where FastestVPN is. The Cayman Islands has no prescribed data retention period, and this means that technically the company can keep true to its no-logs policy. FastestVPN combines a good mix of protocols such as L2TP, SSTP, and TCP/UDP with 256-bit encryption. This is about as good as it gets nowadays for a consumer VPN to offer and is likely to be very secure. There is also a side benefit of having a NAT firewall which helps block incoming traffic which may be harmful. Combine that with a kill switch and viola – you have everything you need that any VPN provider should be offering. One thing that did disappoint was that there was no mention of the possibility of a double VPN, nor could we find any related setting in the app. DNS and WebRTC leaks have become more prevalent suddenly and we’re guessing that this could be since VPNs are becoming popular and coming under increased scrutiny. We are happy to report that FastestVPN doesn’t suffer from either. DNS Leaks mean that your VPN service provider isn’t doing its job properly and that your real IP could be exposed (even intermittently) to the public. Not only does FastestVPN allow you to connect to its service with up to ten devices at the same time, it also can be installed on many platforms. Naturally, mainstream platforms such as Windows, MacOS and mobile operating systems are supported. However, they go one step further by offering extensive support for android boxes and the Amazon Fire Stick. They seem to also be heavily invested in the Kodi app, which is immensely popular for streaming movies from various sources. For a VPN service provider, we would have to say that 23 countries in their arsenal isn’t exactly outstanding. Some VPN service providers have available in over 100 countries, so this isn’t really a starting point for them. However, most key countries are covered as well as most of the major continents. The only real glaring gap we can see is the complete lack of a presence in Africa, but to be honest that market is mostly restricted to only a few areas. Here we come to the crux of the FastestVPN dilemma. To stake a claim in their product name as the fastest VPN, this gives us very mixed feelings. On one hand it’s certainly a bold marketing tactic, but on the other hand the claim will fall flat with anyone who tries out a few VPN services. As always, we want to remind you that it is an unfortunate fact of life that any VPN connection will likely slow down your Internet speed. 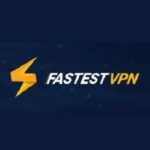 There are many factors to consider when speed testing a VPN – it isn’t just about the speed that the provider can support. Some of the other things that affect your speed include your actual line speed, the encryption used, distance from the VPN server and the specifications of your own device. The US is as far away from our physical location as can be – literally across the world. This usually makes it the worst location for us to connect to. Impressively, FastestVPN managed to clock in at 50Mbps down and 3Mbps up. Interestingly, speeds from a Europe-based server of their only eked out a 36Mbps down speed and 4Mbps up speed. We expected better from the EU zone and noticed that the low upstream seems to be a chronic thing. For this review there was no test from an Africa-based server because FastestVPN doesn’t seem to have a presence there. This is one small drawback of using a VPN provider that has limited country locations. The closest to us physically, Singapore almost always without fail delivers the best speed results for us. FastestVPN is excellent here and we got 80Mbps down and 74Mbps up. Again, while these are excellent results figuratively, they still fall short of the fastest timings we have seen. Australia put up a decent show as well with speeds clocking in at 58Mbps down and 3Mbps up. Again we are reminded of the lethargy that FastestVPN shows on its upstream. Before we began testing for the speeds that FastestVPN could produce, honestly, there was a fair amount of scepticism. As we mentioned earlier, the bold name they have chosen has set the bar high and we were pretty sure that it would fall flat. The results that were obtained again gave us mixed feelings. While the number were more impressive than we expected, the overall weakness of uplinks speeds is a slight concern. True, most people would focus on the downstream but how about the folks who want to work on the VPN line and must transmit files to and from various locations? Again, arguably for work the VPN server location won’t matter – so for example we can choose the closes location and get a great uplink speed such as that we saw in the Singapore speed test. Yet it is exactly that -arguably. If we were to base capability of FastestVPN as compared to other top-tier VPN service providers there still remains a notable discrepancy. On their support page, FastestVPN has a few options that include a mundane FAQ containing information like why you need a VPN and so on. You will also find tutorial on how to setup FastestVPN on various devices – and this list is extensive. Interestingly, they have an entire section devoted to installing FastestVPN on Kodi – the preferred media steaming app for most android TV boxes. There is a long list of options on how to do a setup with Kodi on various devices. There is also a live chat option, which can assist in some ways – I tested them out and their response is quick (within 15 seconds). Unfortunately, the chat script seems a little buggy and on occasion gets lost, e.g. if you refresh the page or such. If your issue is more extensive you can also email details to them. There is no call-in line or ticketing system here. Overall, we feel that the support system could be more effective, but it certainly isn’t the worst we’ve seen so far. A more comprehensive knowledge base would be useful, for example. As you can see from the download rates above, Torrenting / P2P was fine on FastestVPN. Speeds were great and the downloads went smoothly. There is a caveat though. Again, referring to their FAQ, FastestVPN supports P2P on almost all servers BUT some servers are not recommended for P2P such as Australia, Hong Kong, Singapore, South Korea and India. Normally this wouldn’t be so much of a problem, but for a VPN service provider with servers in only 20-odd countries, that’s cutting the numbers down by a fair bit. Unfortunately, streaming media from geolocation restricted service proved to be a let-down. In their FAQ, they themselves note that the service will not work with Netflix US content which is what a lot of people using VPNs for media streaming will be aiming for. 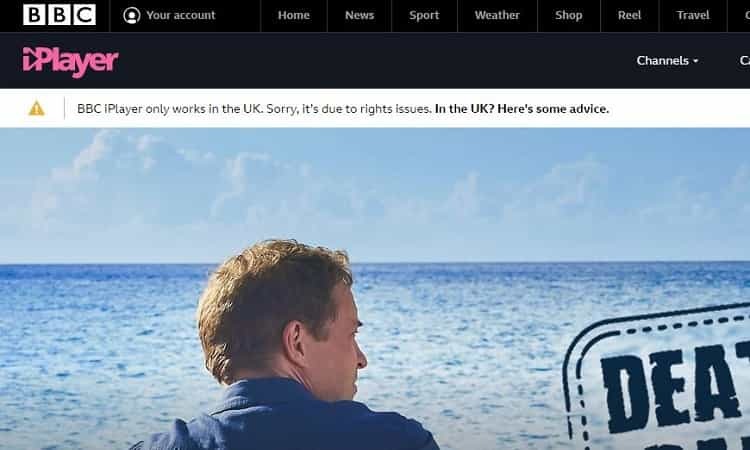 There is no official word about the BBC’s iPlayer but a quick test showed that this will not work as well even when connecting to a UK server. We suspect that FastestVPN doesn’t actively try to get their banned IPs whitelisted and so it gets caught out by geolocation restricted services. If your objective is simply to watch YouTube while on a VPN account, then that is fine since all the download speeds that FastestVPN offers should be sufficient for you to easily stream even 4k videos there. 6. FastestVPN Has Excellent Price Plans! 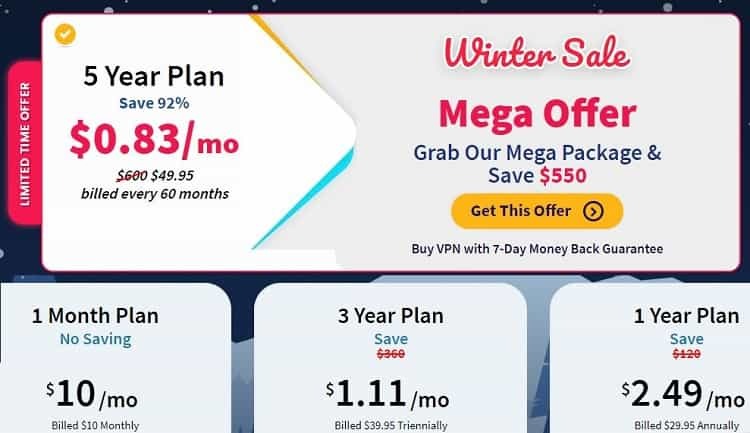 As with all VPN service providers, FastestVPN doesn’t like folks that try to sign on for a one-month plan and cranks their rates up high as a way of discouragement. It is kind of obligatory and all of the providers do this, so we won’t comment further on the one-month plans. However, it is once you get past that pricing segment that eyebrows will raise. If you’re looking at an annual plan, the price drops steeply down to $2.49 per month – and continues dropping. For a three-year plan the price goes down to $1.11 per month and there is even a five-year plan for 83 cents a month! These are unbelievable prices, but they also mean that you will be stuck with them for a very, very long time. We are guessing that most folks will stick to either an annual plan or at most a three-year plan. Anything beyond that is kind of crazy. We are sure that by now you’re getting sick of us repeating this, but here we go again; FastestVPN chose a name that’s difficult to live up to and yet doesn’t really shine or sink. It hits many of the right points for a VPNs service, but it just doesn’t have the juice to play in the big leagues just yet. 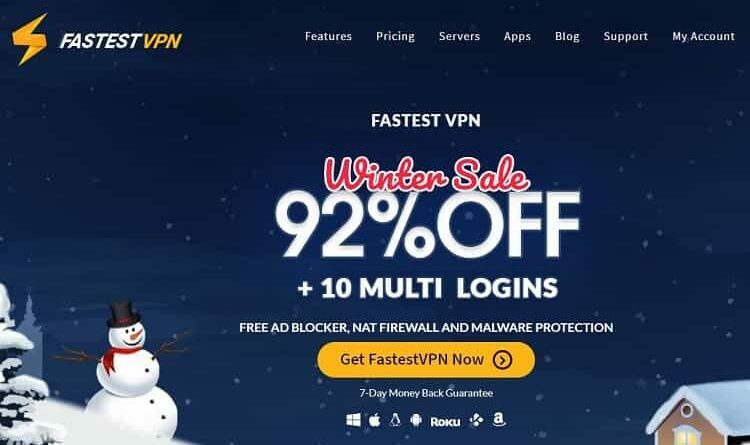 On the other hand, it does offer an opportunity to get into the VPN scene and benefit from security and anonymity for a fraction of the price that most VPN service provides would charge. 83 cents a month on a five-year plan or $1.11 per month on a three-year plan really is hard to beat. The recommendation for this really would depend on your requirements. If your key interest is just security and anonymity, then yes, the prices are good, and you can take it for a test drive. If you’re big into streaming content from providers such as Netflix US, then the answer would be a flat no. Either way, there is a little good and bad at the same time. Can you live with the parts that are missing for a lower price? Only you can decide that.